The capital city of Spain’s Galicia region, in the northwest of the country, is the place to go for Santiago de Compostela historical tours. This city is certainly unique and is imbued with the aura of journeys all through the centuries. You will also find here many very popular Santiago de Compostela walking tours, for which, travellers come far and near to take part in. This city is probably most famous for being the last stop of the Camino de Santiago pilgrimage route which has routes that stretch across Europe. However, it is a place to do excellent and many, short private city tours Santiago de Compostela offers thanks to its quaint arcaded granite streets, its Romanesque, gothic and baroque buildings and magnificent stone architecture. There is one place that everyone should visit with one of the many guided tours Santiago de Compostela provides and that is the Catedral de Santiago. This cathedral is Spain’s most sacred Christian monument. It would be safe to say that you will be wowed and entertained on any of the private Santiago de Compostela tours you do and the charming restaurants, bars and cafes. 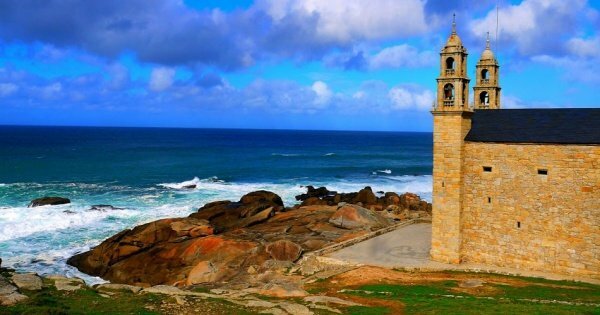 Explore Finisterre and the Coast of Death on a private full day tour. Enjoy this magical place, listening to all the stories of time passed and uncover many of its secrets.